My question to you is; how can you take those discussing your business, and turn them into your followers through a Social Media strategy? 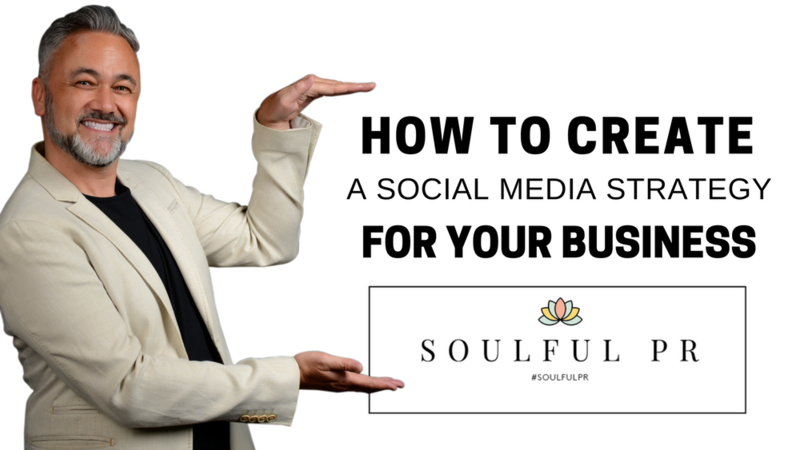 On the 28th September, I was asked to be a guest on Janet Murray’s Soulful PR podcast to talk about creating a Social Media strategy for businesses. Janet Murray has built a successful blog, and podcast. She has been featured in dozens of national newspapers, magazines, radios and on live TV. Janet has over 17 years experience in writing, and editing for national newspapers like the Guardian. Janet also helps small business owners promote themselves more effectively through my membership community and live events. If you want to grow an audience you can turn into paying customers, a Social Media strategy is vital. This was a great podcast, and 45 minutes worth of actionable content and well worth listening to. During this podcast, I shared my seven-step guide to creating a Social Media strategy that will help to develop relationships with your target audience. My Story: a huge part of my business success is sharing my story, and how I went from being a professional hip hop dancer to bestselling author, speaker, digital marketing transformation coach and social media strategy expert. Amplifying Content: using Social Media is great, but without a strategy, and an understanding of how best to amplify content you will find it very difficult to balance your time so that you can focus on sales. Become A Thought Leader: find out how you can position yourself as an expert in your industry and ultimately become a thought leader. Google+: Google+ is one of the most interesting “social networks”. I get asked questions about Google+ on a regular basis. There is only one reason why I use Google+ and I share this reason why in the podcast. Polls: Find out how to use polls on Social Media. I will also share how to better understand what your audience want from you, and to increase engagement. Repurposing Content: I have done a lot of research around repurposing content. I have also spoken to a lot of industry experts. Because of this, I now understand how best to repurpose content, and I share this in the podcast. It was a great podcast, and I know you will learn a lot from what both Janet and I had to say. You can listen to the podcast below, and don’t forget to follow me on @WarrenKnight, and let me know what you thought!